Onye ji aha òtù pati Allied Congress Party of Nigeria (ACPN), bụkwa onye buburu minista na-ahu maka agụmakwụkwọ n’oge gara aga bụ Oby Ezekwesili ekwuola na ya agaghị esonye n’ịzọ ọkwa onyeisiala a ga-eme n’afọ a.
Ezekwesili kwuru na ya ga-etinyezi uche ya n’ihe gbasara iwulite òtù bụkwa nke ga-ama “All Progressive Congress (APC) na People’s Democratic Party” (PDP) aka n’ihu na ntuliaka elu a ga-eme n’afọ. Oby kwuputara nke a n’isi ụtụtụ taa n’igwe nnụnụ ọgbama ya bụ Twitter. N’ozi nke onye na-ekwuchitere òtù na-ahụ maka ịchụ nta vootu ya ọnụ “Obiageli Ezekwesili Presidential Campaign Organisation” bụ Ozioma Ubabukoh, Ezekwesili nwere mkpebi a dịka ya na ọtụtụ ndị ala anyị, ọnọ n’ụlọ na ọnọ n’ụzọ ije nwechara mkparịta ụka. 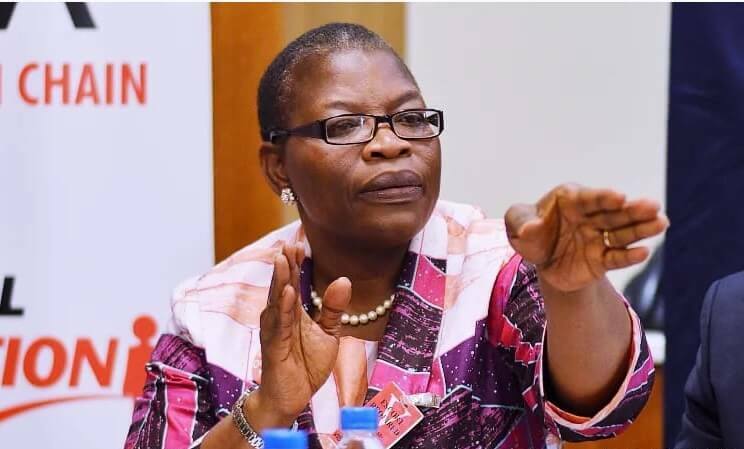 The candidate of the Allied Congress Party of Nigeria (ACPN) and a former Minister of Education, Oby Ezekwesili has withdrawn from the Presidential race. Oby said she would now be focusing on helping to build a Coalition for a viable alternative to the All Progressive Congress (APC) and People’s Democratic Party (PDP) in the 2019 general elections. She announced her withdrawal her in a series of tweet on official and verified twitter handle on Thursday morning.